1. There is no fixing. With plants and people, my role is to help create the conditions for new expansiveness, not to diagnose or impose. 2. What is more amazing than watching someone/thing embody her/his/its full self? 3. Courage. I witness so many acts of bravery in my clients, both at the level of sinew and of story. 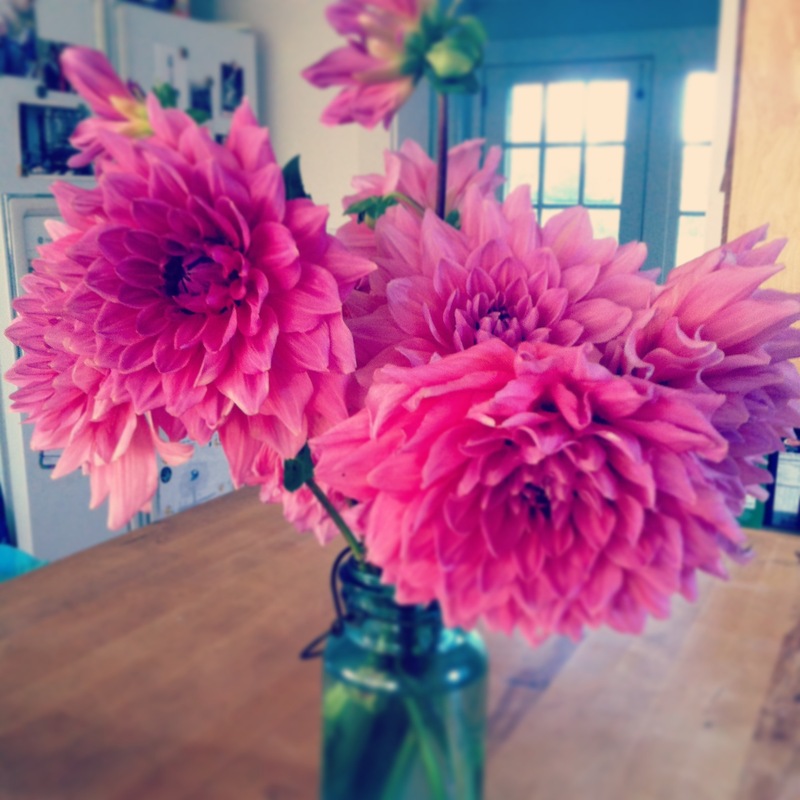 I see that in those dahlias (courtesy of Broadturn Farm), don’t you? 4. Joy. I can find as much unhindered, easy, new movement in my three-year-old as those dandelion seeds (ahem) she’s so happily letting fly across the yard. 5. Beauty. In all forms. At all levels. Please note also! I’m offering an introductory pay-it-forward special: Book a massage and receive a $15 off certificate to pass on to someone else. Feel free to contact me to schedule an appointment or use the Schedulicity link.